The May edition is here again! I really am not sure where this year has gone so far – it seems that after my brief pause at the start of February, my feet have not touched the ground. Around the deadlines, I have been busy between Scottsdale, Abu Dhabi, Dubai and, now, Las Vegas. Iran beckons, then Menton and perhaps then, there may be time for a moment to breathe once more. I look to the lives of the trainers – the ones that I have seen continually around the world with me especially – and I wonder how they do it. Constantly flying around the globe, looking for the best horse for their clients, working hard to get the results in the show-ring – and then on to the next show before the curtains have even come down on the one they are at. Then there are the photographers, spending all day in the ring, capturing that magical shot, before flying off to the next show and the next – while at the same time, downloading thousands of images and making them available as swiftly as possible for magazines and owners. Certainly, the core hub of the world of the Arabian horse, the one that everyone sees, is a hardworking one. Without the trainers, photographers, judges, there would be no shows, no global reference point for the many breeders around the world. With this in mind, I cannot help but cast my mind back – back to a time that I never knew. Those days when Sheykh Obeyd was magnificent and real, and not just a fascination that can only be lived through the pages of history books. While we have global air travel to facilitate our desire to see Arabian horses in countries around the world, back then it was steamboat and train, horse and camel, and to think of people such as Lady Anne Blunt venturing into the desert in the late 1800s is remarkable. Even those travellers to Egypt in the middle of the 20th century – Judith and Donald Forbis being a case in point – were intrepid adventurers, and ones that led the way for others to follow. The thing about the future is that it cannot be lived without the past – without the Lady Anne Blunts of the world, the Forbis’, and many, many others, we would not be where we are today. These pioneers were instrumental in helping make the world a smaller place, in breaking down the barriers that may have existed between people and countries, and instead making the language of the Arabian horse predominate. 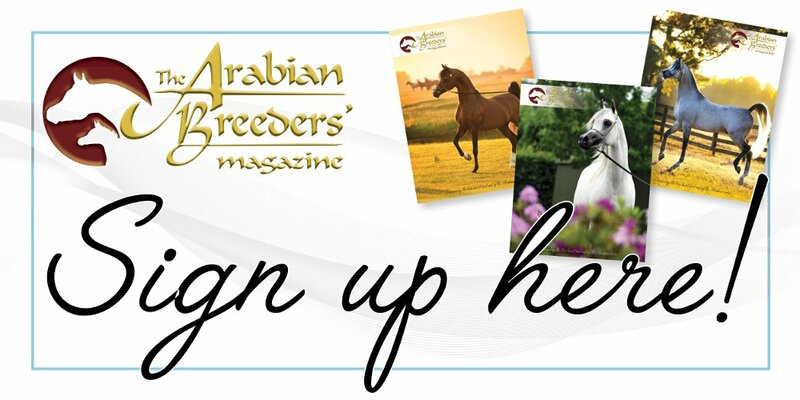 And it is that fact that today, has enabled trainers, photographers, journalists and so on to travel the world so freely, turn up anywhere, in any country, and instantly be accepted because of this common ground – the shared love of the Arabian breed.